07/11/2017 | Global Collaboration, Presidential Address | von Klitzing, K.
Recently the US organization Zero to Three (ZTT) launched the new classification of mental health and developmental disorders of infancy and early childhood (DC:0-5). In contrast to the previous DC 0-3 R, this system includes also preschool children. The diagnostic categories have been revised according to new clinical knowledge and research findings. In addition, “relationship disorders” have been included as a distinct category on axis I, alongside describing the relational context of disorders on the separate axis II. 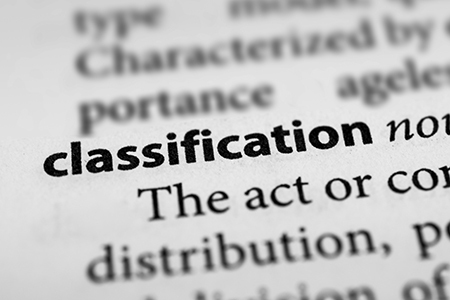 The manual is the result of a long and intensive collaborative effort by the Diagnostic Classification Revision Task Force chaired by Charles H. Zeanah. The aim was to carefully describe and categorize descriptive syndromes and symptoms involving distress and the impairment of functioning over time (axis I), and to integrate these descriptions into the contexts of relationships (axis II), physical health (axis III), psychosocial stressors (axis IV), and development (axis V). There is still controversy within the international interdisciplinary infant mental health field (represented by more than 50 WAIMH affiliates) over whether the categorization of the mental health problems of infants by psychiatric diagnoses is adequate. Some colleagues state that the mental organization in early childhood is still so fluid that it is inappropriate to use relatively rigid categories to describe individual characteristics. Many clinicians and developmental researchers argue that sleep or feeding problems reported by parents in the consulting room, for example, are more an expression of troubled relationships and less individual characteristics of the infant. Last, but not least, some draw our attention to the fact that psychiatric diagnoses are associated with considerable stigma in nearly all societies. So should we put the development of the youngest at risk by burdening them with diagnoses such as anxiety disorder, depression or autism spectrum disorder? On the other hand, babies are not angels. Of course, the younger the human being, the more knowledge of the relational context is necessary to understand his/her behavior and emotions. But nevertheless, infants do contribute actively to relationships and are not merely passive “victims” of detrimental environments. Instead of avoiding any kind of psychiatric terminology it might be more helpful to develop developmentally sensitive diagnoses which link psychopathological descriptions to the individual’s developmental situation. In the middle of the last century René Spitz drew our attention to the fact that the diagnosis “depression” describes a condition which can impair individuals over their whole life cycle. His notion of anaclitic depression – a severe syndrome causing tremendous suffering during the first and second year of life – initially met resistance and skepticism, but changed practices in children’s hospitals and nurseries dramatically for the better. Developmentally sensitive diagnoses can help the inclusion of early childhood into our concepts of mental health; adequate diagnostic categories allow infants to be included in necessary clinical studies; and in most countries, a diagnosis is a precondition for access to mental health services. But there are still reasons for concern. Let me give the example of Attention Deficit Hyperactivity Disorder (ADHD). This is a relatively new diagnostic entity which describes the difficulties of some individuals in focusing their attention on socially important tasks, regulating their impulsivity and suppressing the urge to move when it is not appropriate (in school or at work). Although this diagnostic category is based on systematic clinical observation and neurophysiological research, it is still a fact that its origins lie in the discovery of a pharmaceutical drug that improves attention and behavioral inhibition. So first there was a drug, and then a diagnosis was created to fit the drug. We currently see a strong tendency towards expanding this diagnosis both into adulthood and into younger ages. DC 0-5 proposes two age-specific categories which reflect this tendency: Attention Deficit Hyperactivity Disorder (starting from age 36 months) and Overactivity Disorder of Toddlerhood (age 24 to 36 months). When reading the diagnostic algorithms, it soon becomes clear that these diagnostic categories describe quantitative rather than qualitative deviations from the norms: “symptoms must be excessive when compared with developmentally and culturally norms” (p. 26), and “cultural expectations are critically important in defining behavioral expectations and impairment” (p. 33). All the behavioral phenomena described as diagnostic criteria are related to social and cultural expectations. Put bluntly, the fact that the prevalence rate of the disorder has increased to 6% in school children does not tell us whether this is due to an increase in disordered children, or whether clinicians have become more alert to the symptoms, or whether social norms have changed over time with less tolerance towards children’s needs for movement and impulse expression. I wonder what the prevalence of preschool ADHD and toddlerhood overactivity will be as soon as infant mental health clinicians start to use the diagnosis to describe young children’s behavior. In a study by our research group, mothers reported significantly more hyperactive behavior of their children when they were in preschool age than two years later when they were in kindergarten or young school age, a result that showed that parents tend to overestimate their children’s capacities of motor- and impulse regulation in the earlier years (Klein et al. 2015). The launch of the new DC 0-5 system happens at a time when the validity of categorical psychiatric diagnoses has been questioned by developmental psychopathology researchers. For example, Forbes et al. (2016) conclude from epidemiological studies that half of the individuals who meet the criteria for one mental disorder would also meet the criteria for a second at the same time, half of those who meet criteria for two disorders will meet criteria for a third, and so on. “Comorbidity” does not seem to be the exception, but the rule. This highlights the general lack of distinctive validity of psychiatric diagnostic categories. The authors conclude “that our diagnostic systems are incompatible with the nature of psychopathology” (p. 972). This seems especially true for early childhood. If a child is diagnosed with a comorbid pattern of, let’s say, ADHD and anxiety and/or depression, it does not mean that the poor child has two or three separate disorders. It is more likely that his/her behavioral problems are caused by his/her anxiety. Hyperactivity might be the expression of a hypomanic defense against unbearable depressive feelings. Therefore it does not make sense to categorize this typical pattern as a co-occurrence of several distinct disorders. Beauchaine and Cicchetti (2016) argue that high rates of homotypic comorbidity, and well-characterized heterotypic progression along the internalizing and externalizing spectra, suggest that at least some DSM disorders assumed to be distinct are in fact alternative developmental manifestations with common etiologies (p. 892). The authors state that the general pattern whereby vulnerabilities interact with environmental adversities to produce expanding and changing symptom expression across development, is observed in almost all multifactorially inherited disorders. “Early life impulsivity may never develop into more severe psychopathology in protective environments characterized by secure attachment relationships, effective parenting, neighborhood cohesion, and positive peer groups” (Beauchaine & Cicchetti 2016, p. 892). The multifactorial origin of mental disorders and the heterotypic course of symptoms might be better described by patterns of dimensional coordinates than by comorbid diagnoses. The Research Domain Criteria (RDoC) initiative has specified five major domains of behavior (negative valence, positive valence, cognitive, social, and arousal/regulatory), which are assumed to interact with one another to affect mental health development and to cause psychopathology. Even if we cannot be sure that these domain definitions will hold for enough empirical evidence in the long run, there is every indication that this is a promising approach to defining dimensions of behavior and social interaction that enable a better grasp of biobehavioral vulnerabilities that can, under certain social and relational conditions, lead to psychopathology. This new dimensional thinking in developmental psychopathology can be the basis for “future research to evaluate complex Biology x Environment interactions in the development of psychopathology, its comorbidities, and its continuities” (Beauchaine and Cicchetti, 2016, p. 893). WAIMH Perspectives offers a forum for critical discussion, including views advocating both the dimensional and the categorical approach. This means that WAIMH should not uncritically promote one diagnostic system but should support a free and open debate about how best to describe mental problems in childhood. No matter whether one choses a categorical or a dimensional approach, the diagnostic description should always include individual and relational formulations. This holds for the entire life cycle, but it is especially true in early childhood. In addition, WAIMH should push for an intensification of our efforts to assess and treat mental health problems as early as possible in life, because we know that many psychopathological phenomena have their origin in the early years. Currently there seems to be a split: to establish infant mental health services in the medical system requires diagnoses that are acknowledged not just by the community of clinicians but also by the health insurance companies. Diagnostic categories are also essential for epidemiological studies which build on commonly accepted diagnoses. On the other hand, in the current state of psychiatry these diagnoses are merely descriptive and represent neither distinct etiological entities nor specific developmental pathways. Therefore, it seems potentially problematic to base urgently needed research efforts entirely on these categories. In the long run, this kind of split between clinical and research approaches might weaken the field. In summary, WAIMH must advocate for building mental health care systems for the youngest in our communities, because most life cycle mental health problems have originated in early childhood. Untreated health problems in these early years create burdens for the individual life cycle as well as for society. WAIMH will therefore continue to provide a forum for interdisciplinary exchange between clinicians and researchers in order to support progress in our vital field. Beauchaine T.P. & Cicchetti D. (2016). A new generation of comorbidity research in the era of neuroscience and Research Domain Criteria. Dev Psychopathol 28:891-894. Forbes M.K., Tackett J.L., Markon K.E. , Krueger K. E. (2016). Beyond comorbidity: Toward a dimensional and hierarchal approach to understanding psychopathology across the lifespan. Dev Psychopathol 28: 971–986. Klein A.M., Otto Y., Fuchs S., Reibiger I., von Klitzing, K. (2015). A prospective study of behavioral and emotional symptoms in preschoolers. Eur Child Adolesc Psychiatry 24:291–299. Zero to Three (2016). DC:0–5™ – Diagnostic Classification of Mental Health and Developmental Disorders of Infancy and Early Childhood.